Washington, D.C. -During the Senate Finance Committee's markup of the Tax Cuts and Jobs Act, U.S. Senator Pat Toomey (R-Pa.) asked Thomas Barthold from the Joint Committee on Taxation (JCT) to confirm that, in every single income bracket, the Senate's tax plan would provide tax cuts on average. Senator Toomey pointed out that just because the government subsidizes many activities through the tax code, this doesn't mean that when a taxpayer voluntarily chooses to forego participating in a taxpayer-subsidized activity they now have a tax increase. "The Advanced Premium Tax Credit is one such example," said Senator Toomey. "This is absolutely not a tax increase. The fact is every single income cohort has substantial savings in taxes and virtually all middle income taxpayers are going to get a substantial tax cut...Now, it is not a tax increase if a person decides they do not want an Obamacare plan and as a result, we don't send a payment to an insurance company. That's what this is about, that's what the Advanced Premium Tax Credit is, it's a payment to an insurance company." 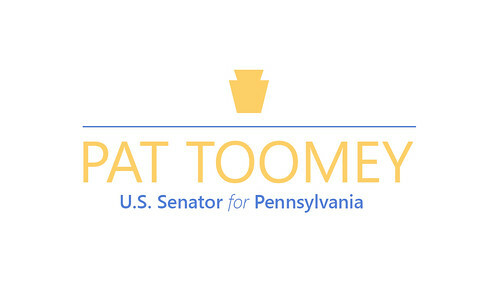 Sen. Toomey referenced similar examples, such as the Earned Income Tax Credit (EITC). Toomey noted that when someone who is working and collecting the EITC but decides to stop working, it cannot plausibly be considered a tax hike since that person is no longer eligible for the EITC. Watch Senator Toomey's remarks stating the above points and access the JCT's chart demonstrating this fact here. Read the exchange between Sen. Toomey and Mr. Barthold below or watch the video on whether the tax plan is getting better and better for working families and the middle class with each iteration. SEN. PAT TOOMEY (R-PA): "These [tax bill] iterations are getting better and better for working families, middle class, and in every cohort. So Mr. Barthold, let me ask you a couple of questions if I could. And I want to focus on taxes that people actually have to pay, not payments that the federal government makes to insurance companies. So let's not focus on payments that my colleagues are absurdly suggesting is a tax increase. If you look at the actual taxes that are actually paid by human beings, and I look at the chart that was produced on November 11th, I see reductions in every single cohort, every income cohort. Let's take for instance the $20-30,000 cohort, the number on my sheet here is a 7% average reduction in taxes. Do you see that number?" BARTHOLD: "Which year, Sen. Toomey?" BARTHOLD: "The Senator is referring to JCX-53, which was the distribution analysis for the underlying chairman's mark, and yes, in the $20-30,000 [range] we estimated that the total taxes collected attributable to that income group would fall by 7%." TOOMEY: "Right, and it falls in all the brackets." BARTHOLD: "It's on page 3 of JCX-53-17, which was the distribution of the chairman's mark before the modification." TOOMEY: "Which simply illustrates, contrary to what we've been hearing all week long, that every middle income tax cohort has a tax cut on average. And then, again putting aside the payments that the federal government makes to insurance companies which are ridiculous to consider taxes. I know you ran a set of numbers, exclusive of that dynamic. And I've got a chart up here for the calendar year 2023, that is the joint committee on taxation November 16, 2017 D-17-52." BARTHOLD: "Yes senator, you and the chairman had asked if we could distribute the effects of the mark, as modified absent the zero-rated individual mandate penalty and all effects of that." TOOMEY: "Right, and when you then look at $20-30,000 income cohort, the average savings now is not the 7% it was before, but it's 9.5%"
TOOMEY: "And actually, every single cohort has a larger savings, which is to say a bigger tax cut, under this more recent version than the previous version, right?" TOOMEY: "So contrary to what our friend from Michigan said, every iteration is getting better."